Lincoln Park is the home of craft breweries, industrial sewing companies, the regional compost site, and many youth and community organizations. Stone Soup will take used brewery grain sacks (currently thrown away), work with neighbors and businesses to convert them to planters, fill them with soil (compost), and plant them with seedlings grown by our children. They will be placed in our business district, along the Cross City Trail, and available to families to inexpensively grow their own food and flowers. Stone Soup seems like magic. It takes the ordinary and makes it extraordinary by actively teaching the impact we can have when we work together. This project will have a lasting impact on Lincoln Park on many levels. 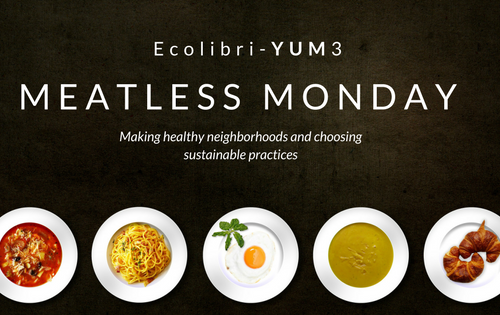 Click image for recipes and more information about Meatless Monday.